With looming environmental problems that seriously threaten our continued comfort on this planet, “voting with our dollars” is simply not enough. Not that anyone ever said it was. But we must not be deluded into thinking that by buying grass-fed meat, composting and carrying reusable bags to the market we are even scratching the surface on our food and environmental problems. 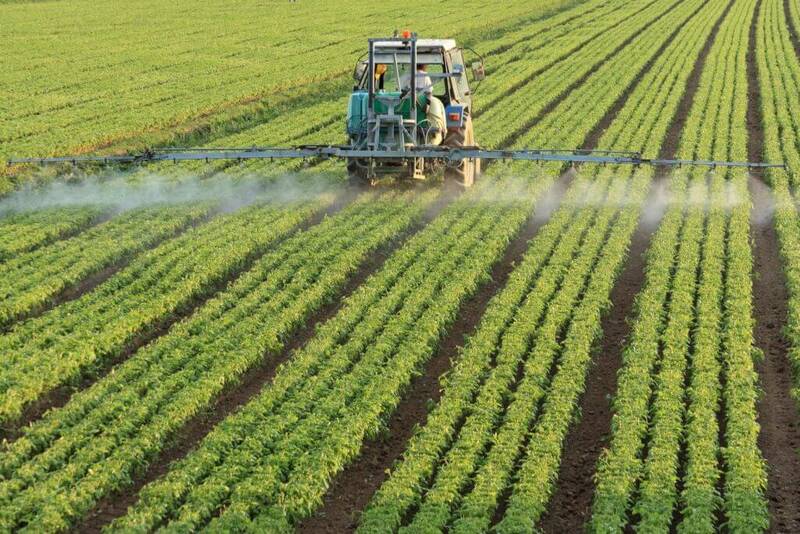 Forty percent of the greenhouse gases that are destabilizing the climate right now come from corporate, industrial agriculture. Seventy percent of our fresh water is used in very wasteful ways for industrial agriculture. Seventy-five percent of crop biodiversity has been lost due to industrial monocultures. In order to truly transform our food system from a water and gas-guzzling industrial monoculture that benefits only agribusiness executives into a more sustainable and humane polyculture, it is necessary to leverage the full range and force of private AND public activity. glyphosate, a probable carcinogen, in everything from wine to breast milk. a nationwide epidemic of obesity and diet-related illness from eating a subsidized diet far too high in sugar and processed food. Industrial agriculture is already a dead horse, yet we are beating it (and our children) into dust—as in a Global Dust Bowl. The hard truth is, on a warming planet with oil getting more expensive and difficult to procure, and demand only growing, we must consciously change our ways now, or they will be changed for us soon enough—without our choice or consent. Simply advocating and educating for a change is not enough. We cannot wait for everyone to “see the (green) light” and spend their money in more ecologically sustainable ways. Even “eco-preneurial” small farmers and business owners, while crucial to the solution, cannot turn the tide fast enough. We can’t shop our way out of this crisis. Rather, in an economy like the one we’re currently in, we need mainstream industrial and CAFO farmers, who control the majority of cropland in the U.S., to understand how it is in their financial best interest to farm in more sustainable ways. Here are a few ideas about how we might accomplish this. Related: Can Shopping Change the World? Just ten percent of America’s largest and richest farms collect almost three-fourths of federal farm subsidies—cash payments that too often encourage harmful environmental practices. Direct payments, promoted as a safety net for working farm and ranch families, are in reality annual cash giveaways to the most profitable businesses in farm country. Many people who receive farm subsidy payments don’t even farm! So while just TEN wealthy agribusinesses are raking in $5.4 million every year in taxpayer dollars they don’t need, many hardworking commodity farmers are barely making ends meet. These smaller farmers have to overproduce meat, corn and soy—even on fragile, environmentally sensitive land—because it is the only way they can make enough money to pay for the expensive equipment, GMO seeds, and toxic chemicals needed to farm on an industrial scale. With the way we do things now, overproduction and bad policy has driven down the prices that farmers are paid for their products to the point where there have been many years where it was more economical for farmers to leave their crops in the field to rot, kill their young livestock or dump milk down the drain than to sell at a steep loss. 2) the corporate executives at Cargill, Archer Daniels Midland and other food processors, that buy dirt-cheap meat, soy and grain commodities and peddle it at 500% (or more) markup as the nutritionally-bankrupt processed food that is responsible for an epidemic of expensive diet-related illnesses in the U.S.
Cheap food is anything but cheap. 1. End agricultural subsidies for commodities like sugar, corn and soy. This would be the beginning of paying farmers what their work is truly worth, which might encourage the involvement of more young people in sustainable agriculture to replenish our current population of farmers near retirement age. If we truly believe in the free market, then we need to let it be truly free. Most farmers would rather earn a straight living anyway. 2. Roll back “Get big or get out” agricultural policies begun during the Nixon era that favor large agribusinesses and commodity exports over the interests of community food security, farmers and human health. This might include instituting modern versions of New Deal programs like the Ever-Normal Granary, and the Soil Conservation Service, which sought to stabilize prices by storing surpluses, and avert overproduction and soil erosion by encouraging farmers to idle their most environmentally sensitive land. It might also include creating a whole new innovative set of “Get small and diverse” policies that encourage and support smaller operations that rely less on monocultures, synthetic fertilizers, pesticides, GMO seeds and fossil fuels. 3. End all incentives and subsidies for ethanol production from commodity crops. These alternative fuels are extremely inefficient to produce and environmentally dubious, at best. Their production also is thought to divert staple crops from the food supply, which contributed to skyrocketing grain prices and worldwide hunger and rioting in recent years. 4. Adjust trade policies so that production for local and domestic markets is once again the center of gravity of the economy, rather than production for export markets. Trade policy should primarily encourage production of goods at the level of the community and at the national level, if this can be done at reasonable cost in order to preserve community. Quotas and tariffs should be used to protect the local economy from destruction by corporate-subsidized commodities with artificially low prices. 5. 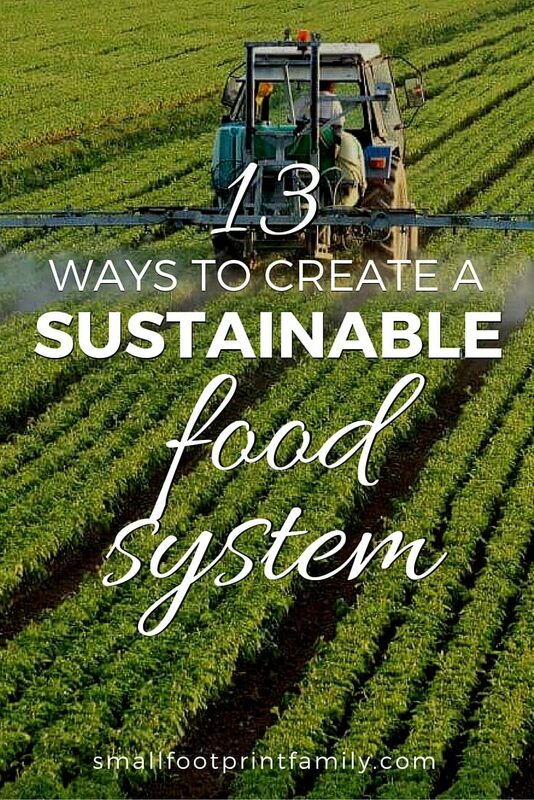 Create financial incentives for converting to sustainable food production methods. Incentives might include low-interest loans, grant programs, and/or debt forgiveness for converting existing CAFOs, corn and soybean fields into integrated, polycultural pasture systems, agroforests, or managed holistic rotational grazing ranches that sequester carbon. Money from defunct commodity subsidies, flood prevention and the like could be diverted for this purpose. 6. Create disincentives for continuing unsustainable practices that pollute and endanger human health. Disincentives might include regulating manure lagoons as a form of illegal toxic dumping, or banning the use of preventative antibiotics that contribute to antibiotic-resistant superbugs. 7. Make sustainable farming and farm-to-table businesses part of the new “green jobs” economy. The number of farmers and farms in the U.S. has been in decline for some time, mostly because for many decades, commodity farming has been a great way work oneself poor. But by providing training, resources and affordable smallholdings to a new generation of young people interested in organic and “beyond organic” farming, we can create just as many great new jobs in agriculture as we can in alternative energy and other green sectors of the economy. 8. Provide micro-loans, grants and zoning support for new eco-preneurial small businesses in urban areas. This would help a new generation of food producers get their start, provide more green-collar jobs, reclaim blighted urban lots, and help build a sustainable local food economy. Imagine what tens of thousands of new urban farms, farmers’s markets and food enterprises similar to Will Allen’s Growing Power would do for sustainable, local food economies across the nation! 9. Provide grants and other funding for community-based non-profits to offer gardening, cooking and nutrition classes in local schools, churches and community centers, as well as support for community gardening, yardsharing and backyard animal husbandry. People who know where their food comes from, how it grows, and how to select and prepare it will naturally make healthier choices for their families, and therefore the environment. By anchoring food education around local farmers and local farm markets, we can help build a local food economy that is secure and sustainable. 10. Encourage and support “smart growth” urban planning strategies nationwide to prevent the suburban sprawl that wastes resources and squanders prime farmland and natural habitat. Portland, Oregon is one of the nation’s best examples of a dynamic, green urban zone surrounded by a vibrant rural farm belt. We should learn from and locally adapt their model nationwide. 11. Protect farm land from redevelopment. When farmers (or, more commonly, their inheriting children) decide to sell their land, we need to make sure it stays zoned for agricultural use. Since few would-be farmers and homesteaders today can afford—much less have interest in—large, industrial-sized parcels, we need to encourage subdividing them into more manageable smallholdings that can support a variety of agricultural and farm-related businesses. This will also help reinvigorate rural communities and local food systems. 12. Connect farmers who are financially and environmentally successful with farmers who would like to be. With the ever-increasing consumer demand for organic produce and humanely-raised, grass-fed meat, dairy and eggs, integrated polycultural farms are poised to do very well in the future. There are quite a few “grass farmers” out there who are already making a decent living in organic farming and animal husbandry, while also contributing to land restoration and carbon sequestration—ultimately creating a net positive carbon footprint on their farms and ranches. The success stories of farmers like Will Allen, John Jeavons, Joel Salatin and Bill Niman, among many others, need to become widespread and legendary. We need to convince some of them to offer training and mentorship to other farmers. 13. Create an international best practice database that culls together the very best sustainable agriculture and land management practices in the world. There are many real-life examples of self-sustaining, carbon-sequestering, resource-protecting, topsoil-building, local food systems around the world. Lucrative, diversified livestock operations that require no purchased inputs in Swoope, Virginia. Urban greenhouse operations in Milwaukee, Wisconsin that produce thousands of pounds of food a year—including fish and eggs—from just 3 acres. Food forests in Vietnam that have been providing food to local families continuously for over 300 years. Managed, holistic livestock grazing systems in Africa that are rapidly restoring desertified land and dried up rivers. We need an accessible living “library” that compiles and showcases these types of best practices so we can all learn from and build upon them for years to come. Wow, lots of interesting points. Thanks for sharing! Excellent article, well written and balanced. The subsidies for the non-foods — the soy, the sugar, the corn for corn syrup — always make me laugh. We live in an area where people say, “We feed the world” and I think, “With what? Corn chips? French fries? Syrup?” I’ll post this on my Facebook; I’m small, but every little bit helps. Great post. So many important topics and action points that everyone needs to start paying attention to! I agree with all your points and want to add one more. Revoke food safety regulations that prevent farmers from selling direct to the public products such as raw milk, eggs and meat. This is the biggest barrier to my own farming enterprise and makes it very difficult for small farmers who would like to make a little money from their property but can’t afford all the registrations and inspections and licences that would be required. Thanks for your sharing your article. We are going to be raising our own cows – we are currently preparing the field and building a “home” for them. It is a small small drop in the bucket but we will be providing meat for at least 4 families and I am excited! Wonderful post! Real-world solutions for this insanity are important for everyone to learn about. Nice informative post . Thanks for sharing with Hearth and soul Blog hop. I love that farms like Joel’s don’t take a dime of government money to run their farms. It’s possoble. We just need to help the farmers transition out of the mess they are in into more unsustainable means. Nice article – really enjoyed it. Enjoyed the twitter convo with the farmer – i have to agree with him on the fact that cows LOVE corn & grains. This is not as black & white an issue as people like to believe it is – as I’m finding with most farming philosophies. Thanks for linking your great post to FAT TUESDAY. This was very interesting! Your posts are always incredibly thorough and well researched! Hope to see you next week! Fantastic post! You make fantastic points and offer real-world solutions. I am a huge advocating of “voting with our dollars- and our forks” but it ISN’T enough! Change must happen and it must happen NOW. Thanks for sharing!